Are you looking to grow your eyebrows? We offer a prescription only treatment that can grow your eyebrows. Using the same treatments that have been clinically proven to grow eyelashes, this topical treatment is applied every day to the eyebrow to stimulate eyebrow follicle growth. 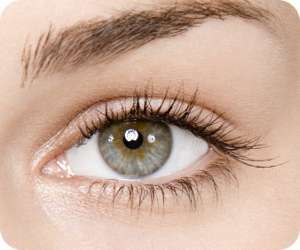 This webpage contains information relating to the success that we have had with eyelash growth. From here you can read about the latest evidence for eyebrow growth treatment, or read about our success with eyelash growth. If you have any questions then email us or give us a call on 0845 366 5877 and we will be happy to help you. There are many treatments on the market for hair growth but not a lot of evidence to support them. We only offer treatments that have evidence that is independent and open to public scrutiny. Below is the current evidence base for the treatments that we offer. There is not a great deal of activity in this area but we will constantly update this section with any new evidence that is produced. Dr Elias is Miami wrote a paper on the use of bimatoprost being applied to the skin each night. The patients in the study found significant eyebrow hair growth over a 12 week period and were happy with the results. Link: Elias MJ et al. Bimatoprost ophthalmic solution 0.03 % for eyebrow growth. Dermatol Surg 2011; 37: 1057-59. How do I start treatment to regrow my eyebrows? Click on the below link to our parent website. Complete the online consultation form and a doctor will review your details. You will then receive personalised treatment options to grow your eyebrows. Treatment prices start from £105 for a 3 month supply. "I have been using a treatment from Mylash for years and LOVE the results. I am extremely happy with the service! I am a lash addict!" "Who doesnt want long, thicker, darker lashes? I know I did which is why four months ago I started growing them. Mylash works! My lashes are noticeably longer, thicker and darker"
"I have been growing my eyelashes with the help of Mylash. It is simple to use and works wonders." "What you can do to grow your eyelashes is a subject I seem to keep coming back to. There are many products out there, all claiming great results. What I hae been doing for the past year is using a treatment supplied by Mylash. Does it work? It really does! My eyelashes are longer and have a density that they have never had before."